Don’t drown in data! Make sure you know how to sort the information coming your way. Choose the right metrics that will meet your business goals, whether they are increasing efficiency, cost-saving or safety. 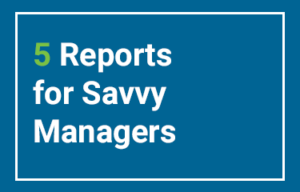 Check out the Top 5 Reports other fleet managers are using to manage their operations for efficiency and ease!